Anyway, this past week, temperatures started getting up into the 40 F range for once, getting rid of the snow we had last week… Yesterday, we made it into the 50s (though I was on campus working with a Science Olympiad competition we were running, so I didn’t get to really enjoy the weather all that much), and today, we’re in the mid-60s. Not bad for late-January! We’ve been keeping an eye on the bees throughout this process, as they don’t survive well when it’s below 0 F for extended periods of time. Generally, as long as you’ve got enough bees in a hive, they can surround the queen and flap their wings enough to keep everyone warm and survive. 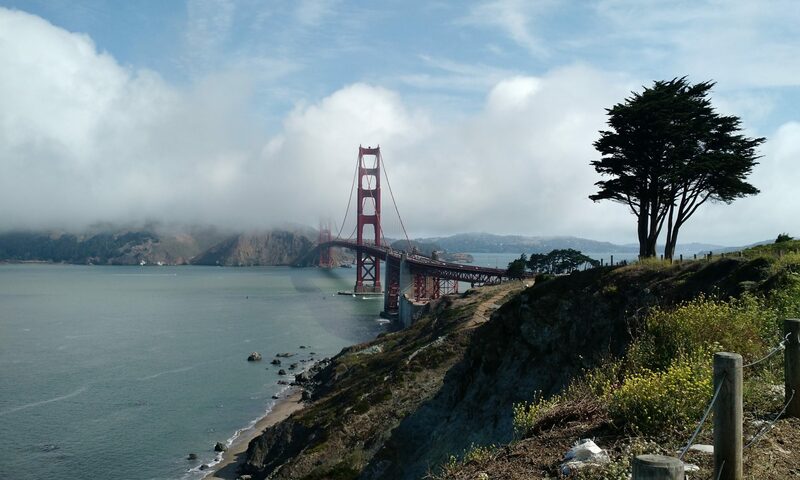 We had some much colder days this winter than last winter, though, so we weren’t sure how they’d handle it. Based on the picture above, they did just fine! 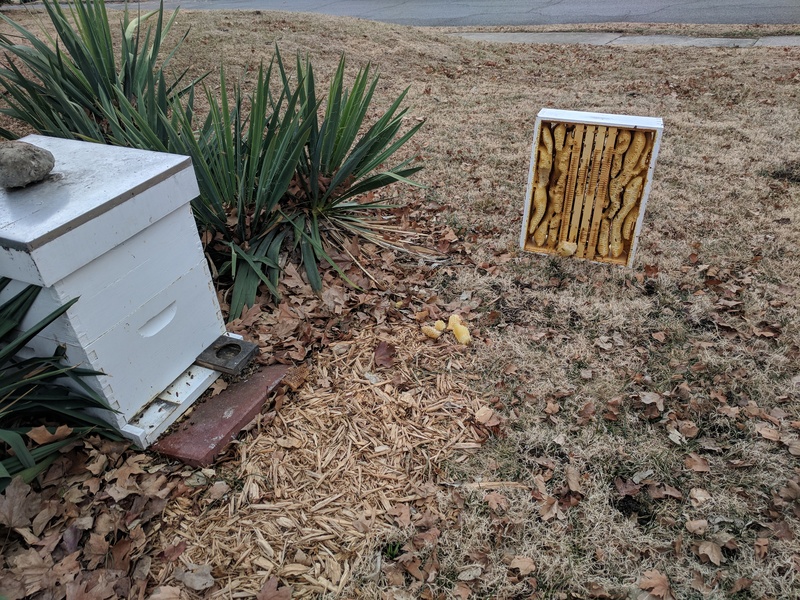 Brooke got in and put in a solid feeder “cake” sort of thing to get them through the rest of winter (at least, most of the way there) and she pulled off the super to keep them concentrated in the lower portions of the hive. They’re pretty active on a day like today, so hopefully they don’t burn through the rest of their food supply thinking it’s Spring (hint: it isn’t). 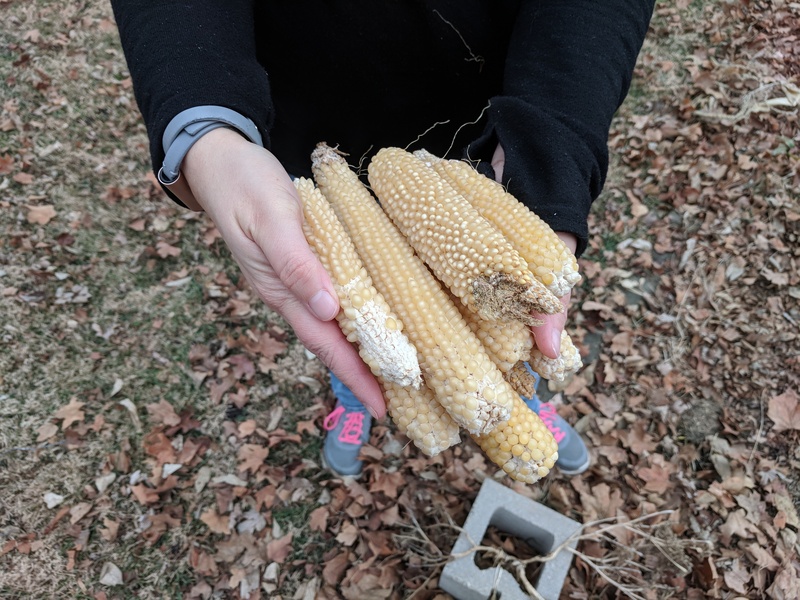 In other news, in keeping with this blog’s need to post everything garden-related possible, here are some popcorn ears Brooke finally picked. Because, you know…it’s January. 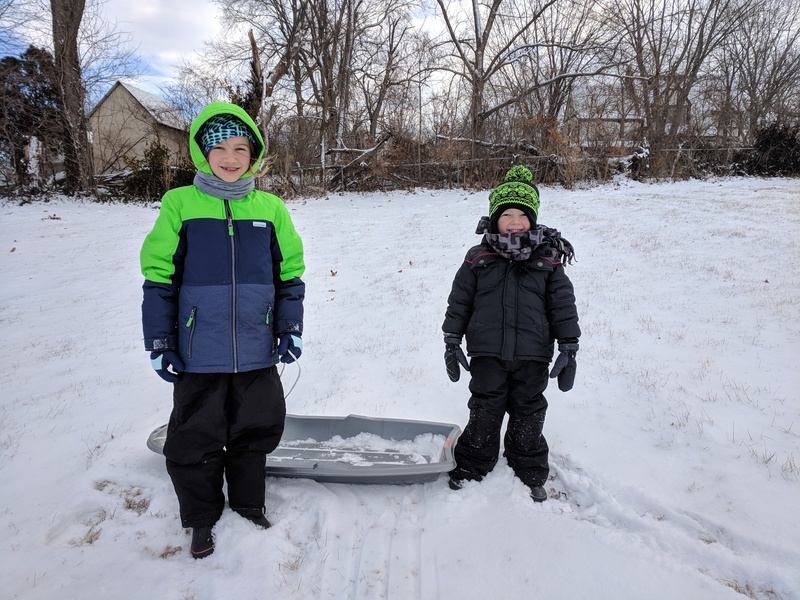 Like I said, we had some snow last week on Martin Luther King Day when both kids were off school, so it was the perfect time for Calvin to go sledding for the first time. Again, it hasn’t gotten than cold the past few years and, incidentally, we haven’t had enough snow for sledding since we first moved here, so Calvin hasn’t been old enough to enjoy it yet.